We have a Server maintenance scheduled from 8:00AM - 10:00AM (CET), 2:00AM -4:00AM (EST) on Apr 11. Please log-out and close the game before the update to prevent any data loss. Maintenance duration may vary slightly depending on if there are any complications. Please check our Facebook page for any updates! 1. 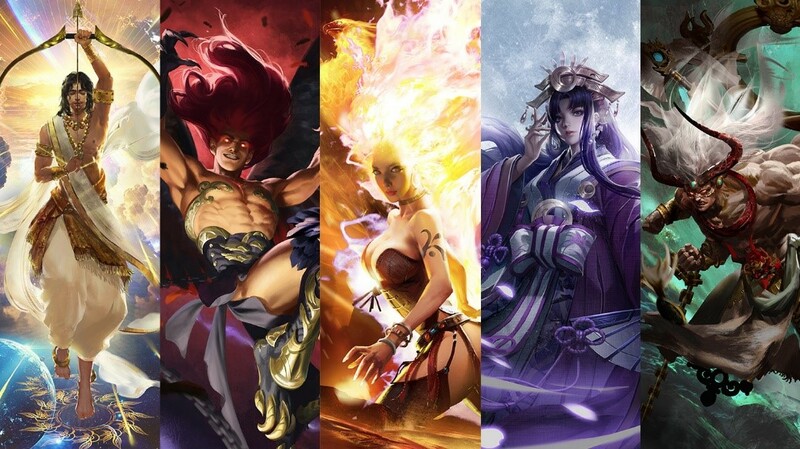 New Wild Souls: Bhishma, Calida, Khan, Kaguya and Mara. 3. Battles of the Past is avaliable in the game. Battles of the Past is coming again on Apr 11th to Rangers of Oblivion! Rangers over level 40 are invited by Edith to join the event. Defeat Behemoths in this game mode to collect a huge amount of rewards, as well as lost documents that speak of ancient legends. Sacred Chalice, Robust Skin, Spirit Shell, Tough Scale, Giant Flame, Energy Cube, Dragon Soul, Giant Core, Harmony Flame, Reptilian Eye, Gold Ore, Titan Steel Ore, Mithril Ore, Manasteel Sand, Obsidian, Sage Crystal, Silver, Ancient Scroll, Ancient Slab, Legend of Siegfried. 4. "Soul Core"(unlocked a dye option) is available again in Divination for a limited time.Talk to Leia the Seer in Rosewall Tavern! Wearing S or A class outfit and weapon will grand you extra stats after the update.